Did you know your awning is made of specialty fabric that has specific care instructions? 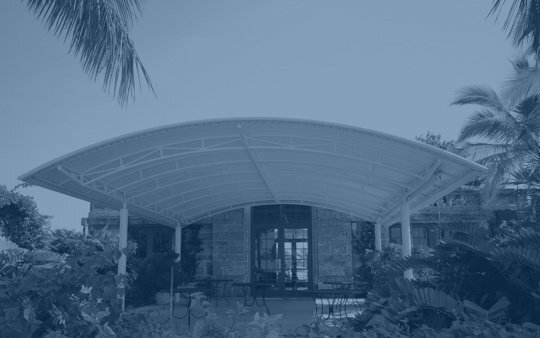 Awning fabric is designed to withstand the elements and last. But this requires care on the part of the owner. Awnings are usually made of a specialty fabric like polyester, vinyl, acrylic, pvc coated mesh fabric, or some kind of composite. These fabrics are treated to withstand fire, repel mold and mildew and even be tear resistant. There is even waterproof awning fabric. Your fabric needs to be kept in good condition so your colors don’t fade and your awning will last. Do clean your awning at least once a month. Make sure to clear debris and wash off dirt. One way to clean your awning is by hosing it down and letting it air dry. Don’t use harsh chemical cleaners or bleach to clean your awning fabric. These kinds of chemicals can destroy the awning’s fabric integrity and degrade its special features like mold and mildew resistance. Do you put your awning in a dry place when it is in storage. Don’t ignore your awning. Inspect it regularly for tears and rips. If you don’t look at your awning you won’t see damage that can be easily repaired and will end up costing you in the long run. Do use your awning in cold weather. Despite what you might think, awnings can be used year-round. They extend your living space to your backyard, where you can enjoy a hot cup of coco under the stars. Don’t use your barbeque under your awning. Smoke and heat can damage the fabric of the awning. Do inspect your awning’s frame as well as its fabric. Sometimes the frame can get damaged and it’s important to check it regularly so you can prevent malfunctions. Don’t let foliage and other greenery grow near or on your awning; this can cause debris to build up and potentially rip your fabric as branches grow. Do check with your awning manufacturer for care and cleaning instructions. Remember, there are a number of things you can do to take care of your awning investment. And keep in mind there are a variety of awning fabrics out there. For example Herculite Inc. offers a line of awning fabrics that are easy to clean and care for. For more information about Herculite’s specialty fabrics and awning fabrics visit us at http://www.herculite.com. Or feel free to call us if you would like more information about our products and services at 800-772-0036.